The Cambridge History of Philosophy in Late Antiquity comprises over forty specially commissioned essays by experts on the philosophy of the period 200-800 CE. 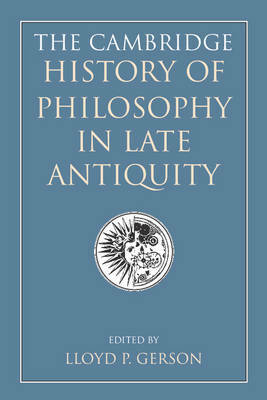 Designed as a successor to The Cambridge History of Later Greek and Early Medieval Philosophy (edited by A. H. Armstrong), it takes into account some forty years of scholarship since the publication of that volume. The contributors examine philosophy as it entered literature, science and religion, and offer new and extensive assessments of philosophers who until recently have been mostly ignored. The volume also includes a complete digest of all philosophical works known to have been written during this period. It will be an invaluable resource for all those interested in this rich and still emerging field.